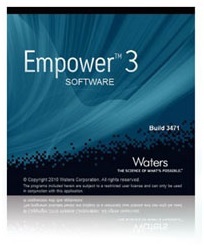 Control of Shimadzu’s SPD-M30A photodiode array detector in Nexera X2 series systems, Prominence HPLC/UFLC, i-Series - LC-2010HT series by Waters’ Empower®/Empower®3 chromatography data software is now available through a collaboration between Waters and Shimadzu utilizing the “Open Interface Portal (OIP)” for multi-vendor hardware control. Shimadzu LC control parameters are set through the Shimadzu instrument method editor embedded in the Empower® software. These parameters are stored and handled as standard Empower® method files so that the instruments are directly controlled from Empower®. Full system control, including autosampler control, uses Empower® sample set methods, and data processing is integrated with Empower® software so that the audit trail functions of Empower® software are fully utilized. This gives you full confidence in the compliance of the system to regulations such as GLP/GMP and US FDA 21 CFR Part11.